Successfully Added RF Watch MP3 Player 1GB to your Shopping Cart. 1GB RF (Radio Frequency) MP3 Watch Player, perfect for sending audio files or music directly from the watch to a FM tuner such as a car radio. This is a wonderful wholesale gadget for sharing your music with others without having to share earphones or listen though small speakers. This MP3 watch also features high quality voice recording in WAV format, and music control options such as A/B repeat and 6 EQ modes. 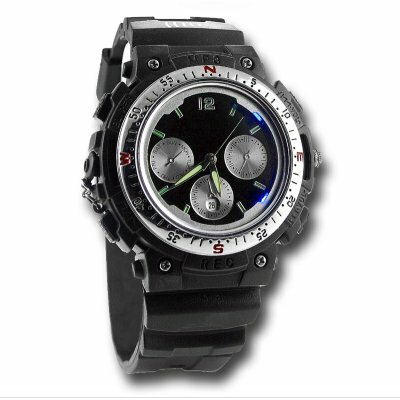 A whole lot of technology and features packed into one great looking sports watch, and available direct from Chinavasion. Note: The left and right auxiliary dials are for decoration only and serve no function.